Since a long time I’ve always wanted to have claws (and wings ;D), but as human being I have nails (how boring!). 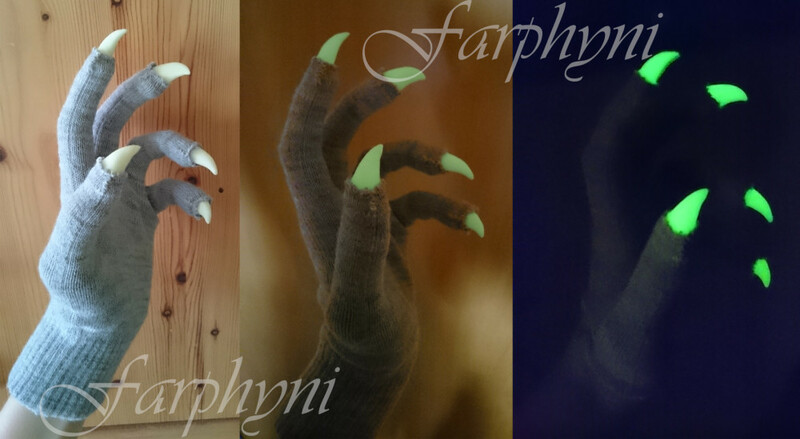 So for a while I had this idea in mind to make myself some claws – and finally I realised this little idea. I used a pair of cheap gloves I bought, night-glowing Fimo modeling clay, glue, a needle and a thread.